It was so much fun to see this little boy again! We first met back in 2011 for a maternity / newborn package. Time FLIES because I can’t believe that it’s been 8 years since our first session! Watching my clients grow up over the years is the best part of being a baby photographer. Because before I know it they become children! We had a great time catching up and he looked so handsome in his suit for his Communion coming in this spring. Christie Adams Photography has been a Bergen County NJ baby and children photographer since 2007. Over the past 12 years Christie has photographed over 1000 families from all over Northern NJ and specializes in timeless and classic portraits. This means that the focus is always on your child and not on elaborate props or backdrops. 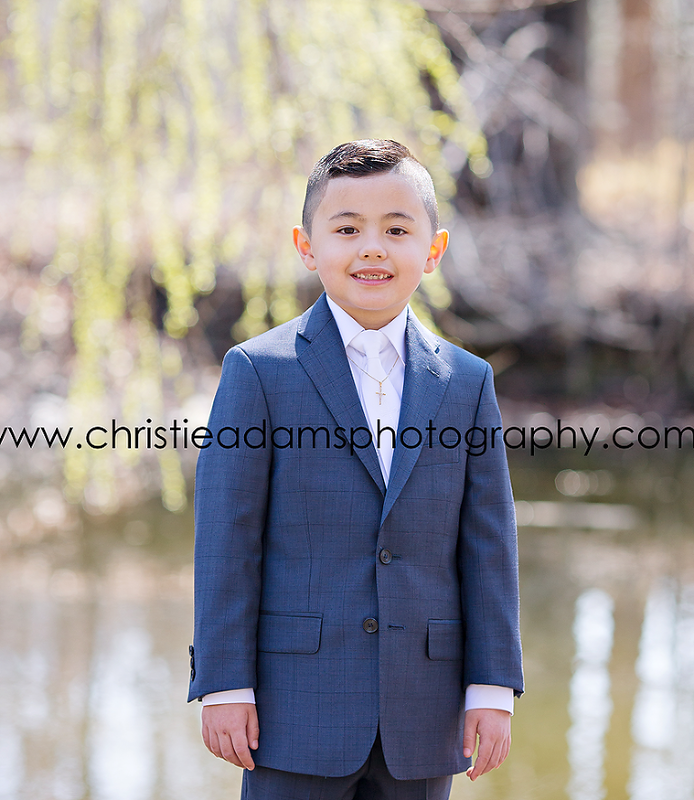 The studio is offering First communion portrait sessions through June and sessions take place in the studio or at local parks in the Glen Rock, Ridgewood, Wyckoff area.